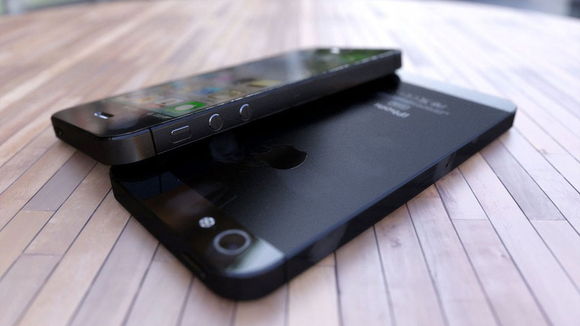 Apple iPhone 5 is the most anticipated phone in 2012. The phone is expected to be announced in a global event on September 2012 and will be available in India from October-November.!! 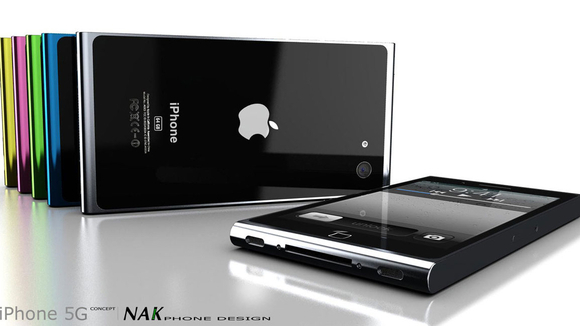 Release of Most awaited " Apple iPhone 5 " , the event is scheduled on September 12th 2012. Its getting to much excitation among fans to know the features that apple will have on its upcoming iphone and there are already rumours spreading like wild fire saying " so many new features " . 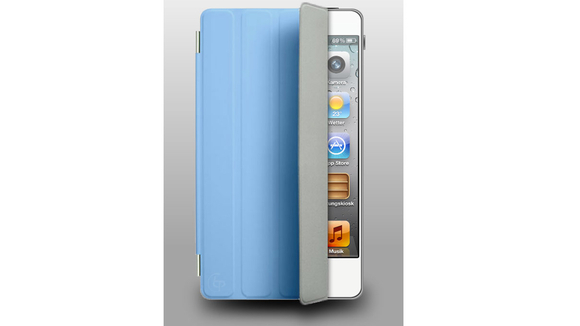 Apple iPhone 5 has nearly 4.0" LED backlit LCD capacitive touch screen with Retina Display. 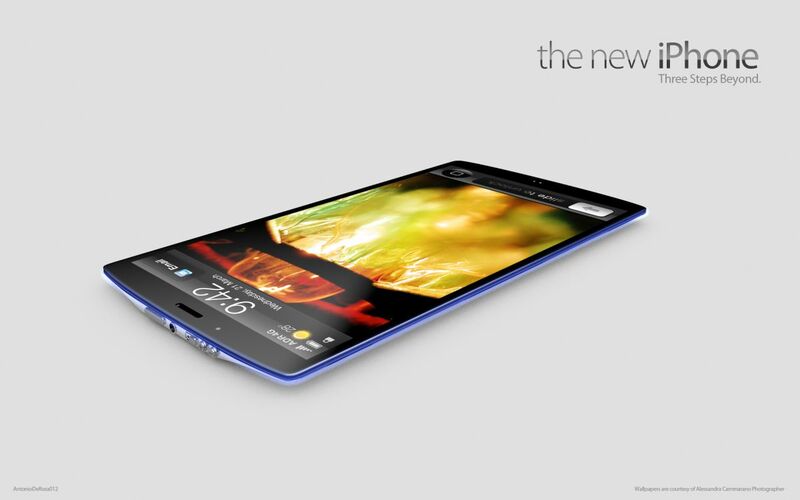 The phone runs iOS 6 operating system with a A6 processor and PowerVR SGX543MP4 GPU with 1GB RAM. 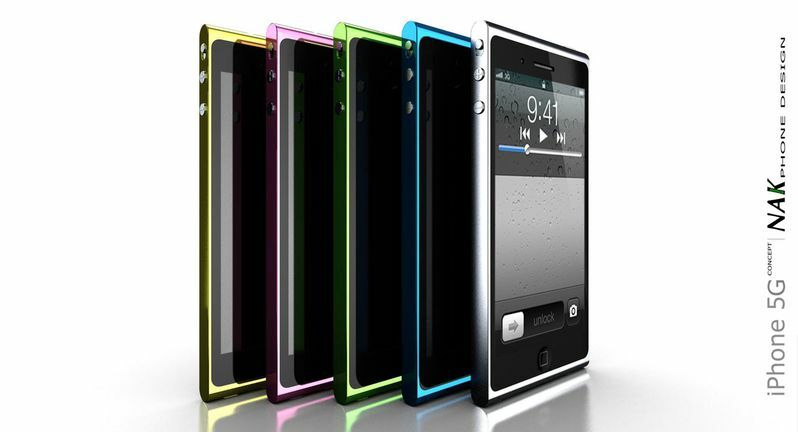 The phone has dimensions thinner than iPhone 4S because of its in-cell touch screen technology. The phone could have an 12MP camera with a backlit CMOS image sensor. The camera should have basic features such as geo tagging. auto focus, LED flash and face detection. There is a 1MP front facing camera with HD Facetime support. 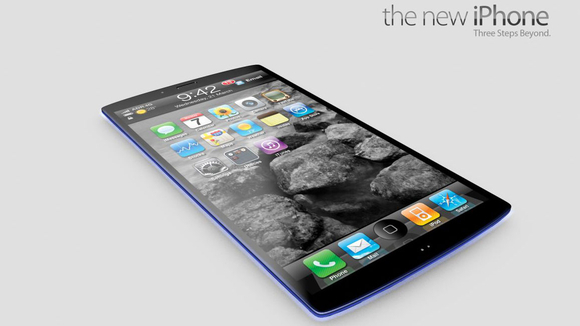 Apple iPhone 5 is expected to run on quad core 2G and 3G networks as well as 4G LTE networks through Nano SIM. The phone supports internet access through GPRS, EDGE, 3G, Wifi and 4G LTE. The phone also has Bluetooth 4.0 , NFC and a 19 pin dock connector for connectivity and power. The iPhone 5 will feature an updated Siri voice assistant service that follows natural language commands and dictation. The phone will feature a reworked iMap feature as well, moving away from the Google Maps that were being used before. The phone is expected to have similar battery life as iPhone 4S of 14 hours in 2G and up to 8 h. The phone will be available in variants of 16, 32 and 64 GB internal memory. The new iphone 5 is confirmed to have Apple Maps that runs on iOS 6 , the support for Google maps has been withdrawn by Apple . Updated Facebook Apps will be integrated into iphone 5 and users will be more than happy to use it . Siri 2.0 Update will be made on the iPhone 5 release. Improved Do Not Disturb on IPhone 5 . The iPhone 5 will be pre-installed with Apple iOS 6 and apart from the above features and rumours , there will be more , that will be updated once the official page of apple release to the public. So, How much would this beauty iPhone 5 cost ? 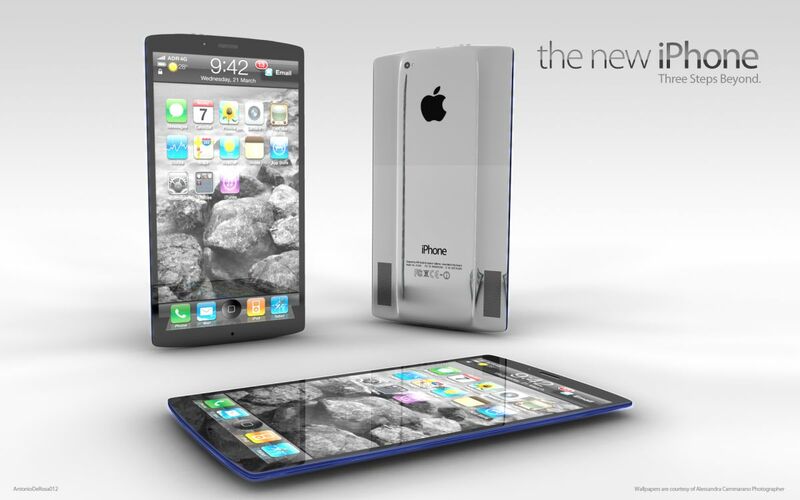 When will the iPhone 5 available for purchase ? Well, it is believed to be released on September 12 and available on stores on Sep 21st 2012 and will be available in India from October-November..
Share your Thoughts and what next want to see in iPhone 5 via Comments..
Google has always Providing the Innovative Thoughts to People and they Provide the Such Options which are very useful and Fast Reference to People with variety of New Innovative Search options they can choose to search from, they First providing the Feature of started with the text than came the image, than started the voice option Feature and now they are providing the New innovative feature that you have the ability to write down your queries on Google's homepage and than will be converted into text for you to search easily. So now the Google Has the Feature of Handwrite by this whole Google's homepage is your canvas for writing down your queries and searching them easily on your smartphone or iPad. Every time its not convenient for you to enter your queries on your Smartphone using than small keyboard, So now the Google Has the Feature of Handwrite by this whole Google's homepage is your canvas for writing down your queries and searching them easily on your smartphone or iPad. If you want to use this Google's New Handwriting Feature just you can simply turn it on by going to Settings > Handwrite > Enable and saving the settings out. Now Simply Reload Your homepage so that settings take effect and now you are ready to scramble across Google's homepage. For More Visit Via - GoogleBlog. Apple will supposedly hold a keynote on August 7 to announce the iPhone 5. According to a “reliable industry source” speaking with KnowYourMobile, the Cupertino company is preparing to unleash its next big mobile device a bit earlier than anticipated — at least earlier than last year’s October 4 date — in order to suppress interest in Samsung’s Galaxy S III. If an early August announcement is on the cards, we could possibly see a release later that month or the first week of September. While the earlier than expected reveal would once again throw Apple’s iPhone schedule out of whack, those who purchased an iPhone 4 in June 2010 (or thereabouts) with two-year contracts will already be up for renewal, which adds even more credence to the whole “stifling the Galaxy S III” argument. At present there are no further details about specs, design or availability. Current rumours suggest Apple’s next flagship smartphone will feature an aluminium two-tone back panel and a larger 4-inch Retina display, as well as an NFC chip and a next-gen processor setup. Apple is expected to offer a significantly different visual design from its previous models - the iPhone 4S was externally identical to the iPhone 4. There are plenty of rumours suggesting a range of aesthetic possibilities from unibody designs to curved ‘teardrop’ profiles. The iPhone 5 will also be the debut device for the next version of Apple’s iOS operating system, iOS 6, which is expected to introduce a wealth of new changes in order to challenge its recently unveiled rivals: Microsoft’s Windows Phone 8 and Google’s Android 4.1 Jelly Bean. Of course, until Apple CEO Tim Cook is up on that stage with a new iPhone in hand, there’s just no way of knowing the company’s plans, no matter how many cases leak or engineering models show up How will iPhone 5 Look Like.. 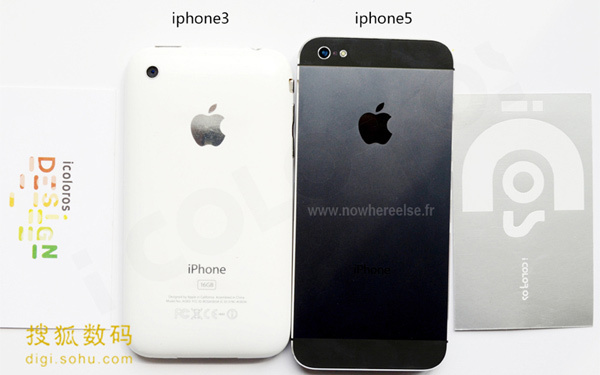 There's a lot of 'information' out there on what the new iPhone 5 will look like - be it larger screens, coloured backs or a whole glut of new technology tagged on the back. However, while there's (unsurprisingly) nothing in the way of a genuine leak from Apple when it comes to the iPhone 5, there's a wealth of content from fans trying to guess/hint what the new iPhone will look like. Here's a gallery of images show the most likely design of the iPhone 5 (or just things that would clearly never happen, but come on... it's cool). 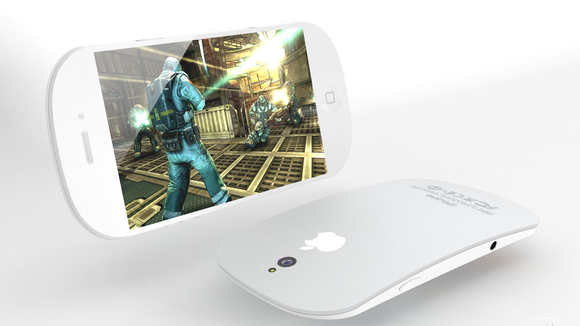 This is the pick of the bunch - a very impressive render based on all the iPhone 5 rumours collated so far. The two tone back and sleek design from Martin Utrecht are so on message that a number of sites were fooled into thinking this was THE new iPhone. It's not though. Don't get excited. We're fans of this design not because it's likely to happen, but more because it will appeal to the Apple fanboys of the world. It's basically the unholy fusion of a Magic Mouse and an iPhone (with more than a nod to the much-fabled iPhone HD) from Ciccarese Design. Although if it did double as a mouse, you'd have to pray that's going to be the next generation of Gorilla Glass protecting the screen. This is the most 'normal' of all the renders we've chosen here, and for that very reason we're happy to state that if Apple goes in a new direction with the iPhone 5 design, this could very well be close to the mark with a more rounded-yet-industrial design. However, it does look a bit like a Sony Ericsson Satio, which is a BAD THING. Although we do like the smorgasbord of colours here from NAK. What's this?A phone with a smart cover? That makes a lot of sense. The rest of the concept is a little on the bland side (although you should check out the full range over on Concept-Phones) with a more angular design, but we love this cover notion. Love this concept for one reason: the idea of incorporating the home button into a dock at the bottom of the screen. Would it work in practice? Probably not, as it would only be relevant for the home screen and engineering that into an LCD panel would be a pain in the posterior. But in concept land here - there are no limitations, so kudos to ADR Studios for a decent range of ideas on the next iPhone. And to that end, here's the ultimate in concepts for the iPhone - a video from Aatma that comes up with the idea of projecting a keyboard from the iPhone using a laser.